Using only top quality ingredients that are easily absorbed, our vitamin supplement, Oxylent, is made exclusively with Albion Minerals, and has received Albion’s Gold Medallion, which recognizes products for excellence in mineral fortification. Albion® Human Nutrition is the most established and globally recognized leader in the chelate industry. Albion is the first bis-glycinate chelate manufacturer to be approved by EFSA, European Food Safety Authority. The other quality that Albion’s metal amino acid chelates have over the competition is their weight. Research has shown that the upper limit for molecular weight for a metal amino acid chelate should be less than 800 daltons. This weight limit ensures that the metal amino acid chelates are absorbed properly in the intestine. Albion’s amino acid chelates are formed with less than four aminos (most are just two), and consequently they have molecular weights well below 800 daltons. Other benefits of Albion’s amino acid chelates were shown in a study of vitamin degradation. This study found that metal amino acid chelates provide significantly less degradation of vitamins prone to oxidation. In other words, amino acid chelates protect a vitamin’s potency and protect it from damage. This study also found that amino acid chelates have significantly higher absorption rates from the intestine compared to soluble inorganic salts. Soluble inorganic salts that were used in the study were sulfate salts of iron, zinc, manganese, and copper. In addition to all these points, Albion’s minerals have minimal taste, are kosher and vegetarian, and contain no GMOs. Founded in 1953, Albion is the only company to receive United States Patents for its work in chelate technology. To date, Albion has received over 100 patents, domestically and worldwide. In addition, Albion is the only chelate manufacturer to be awarded CAS-RNs (chemical abstract service registration numbers) from the American Chemical Society. All published research on chelated minerals has been conducted using Albion’s chelates. Additionally, only Albion chelates have been accepted and registered in the European Union and in China. Albion’s Ferrochel® Ferrous Bisglycinate Chelate has also been sponsored for addition to Codex Alimentarus by the United States Food & Drug Administration and the government of South Africa. 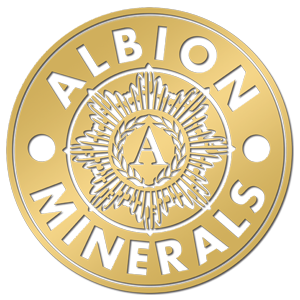 Albion’s Gold Medallion stands for mineral nutrition excellence. It is intended to give recognition to companies that make products that contain significant quantities of Albion’s minerals and demonstrate excellence in mineral nutrition, like Oxylent! !